Linton, whose Canada based-company has partnered with names such as cannabis icon Snoop Dogg and alcohol leader Constellation Brands, said that in other regions of the world, marijuana has even influenced the sale of other products such as alcohol and sleep aids. “Cannabis is a huge disruptor to the opioid guys,” Linton told “Mad Money” host Jim Cramer in an exclusive interview. 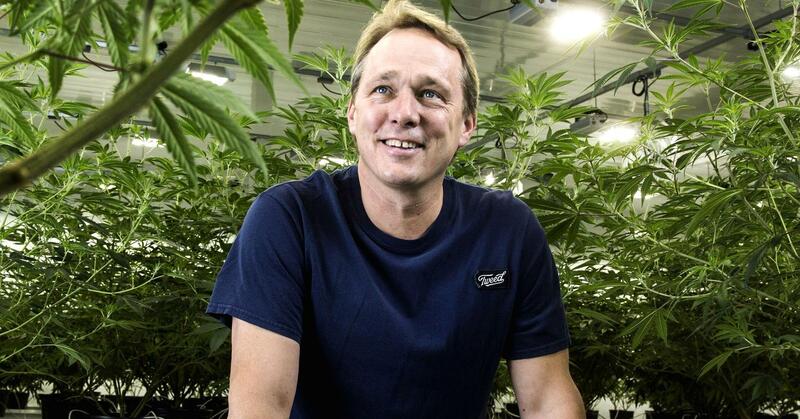 He said his company is looking at other possible uses for marijuana in the health-care space. Opioids, including heroin and fentanyl, were involved in more than 42,000 overdose deaths in 2016, according to the Centers for Disease Control and Prevention. Additionally, the negative economic effect of the opioid crisis is estimated to be more than $1 trillion from 2001 through last year, health research and consulting institute Altarum said. The opioid epidemic affects American children as well. The number of pediatric opioid hospitalizations requiring intensive care nearly doubled to 1,504 patients between 2012 and 2015, from 797 patients between 2004 and 2007, according to a study published in the peer-reviewed medical journal Pediatrics. The company, which operates in seven countries and is Canada’s largest weed company, offers a variety of brands and curated cannabis in multiple forms such as dried, oil and soft-gel capsules. 0 responses on "Legal weed could mean fewer prescriptions for opioids in the US"